Very pleasant experience, spent a lot of time chatting about my needs and coming up with a great plan. Will begoing back. Excellent doctor. Thorough, polite, intelligent and thoughtful lady. Asked all the right questions and enjoyed the appointment.Will see her again. Excellent doctor. Thorough, polite, intelligent and thoughtful lady. Asked all the right questions and enjoyed the appointment. Will see her again. Dr. Maryam has a no-show cancellation fee. If for any reason you cannot attend your appointment, please inform the office 72 hours before the appointment. 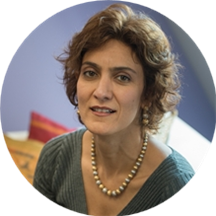 Dr. Maryam Dadkhah has a Ph.D. in Nutrition from Colorado State University. She is also a Registered Dietitian and Nutritionist (RDN), and a Certified Personal Trainer (CPT) through American College of Sports Medicine. Dr. Dadkhah keeps updated with the latest scientific data and applies it to her counseling. Her counseling goal is to assist her clients in achieving a healthy lifestyle and make independent healthful choices. She actively listens to her clients, provides them with ongoing support and manages her approach based on what her clients needs and goals are. Dr. Dadkhah’s greatest satisfaction is watching her clients succeed and achieve their goals. She has over fifteen years of experience in the field of health and nutrition and provides counseling to both adults and children. Dr. Dadkhah specializes in weight management and has certificate of training in adult, childhood and adolescent weight management. She is also an expert in medical nutrition therapy for elevated blood pressure, cholesterol and triglycerides, diabetes, and gastrointestinal issues. Dr. Dadkhah has worked in multiple hospitals and outpatient settings in Washington DC, Colorado and New York. She has assisted in developing and implementing multiple weight management and weight loss studies. She has also helped thousands of patients to manage their weight or control their diabetes. Maryam has worked with children and adolescents with cardiac concerns, diabetes, overweight and obesity, metabolic disorders, feeding issues, allergies, and muscular dystrophy. Dr. Dadkhah is board certified in obesity and weight management by the Academy of Nutrition and Dietetics. Incredibly helpful, valuable information all provided in a knowledgeable and compassionate manner. Excellent doctor and highly recommend. Great wealth of information all presented in an understandable and kind way. She only believes in the most traditional method. Anything is involve with newer study, information, and technology she will reject and refuse them. She does not even measure patient's body fat. The information she gave you can just google and learn. Very outdated style and information. Quite disappointed. The doctor was nice, but not flexible to the customer's needs. She had me watch a video on the impact of sugar on the body that I could have Googled. She had no plans or meal plans available. I didn't understandthe purpose of our visit if she had no plan to offer. She stated that the point was that she was my cheerleader. Really??? I REFUSE to pay a professional to be a freaking cheerleader and receive no real plans or weight loss medications. Her practice is a joke. I went to Dr. Dadkhah because I am diabetic and having a hard time losing weight. I felt really relaxed talking to her and didn't feel judged when I admitted I really like fried food. :) We made small goals whichI think were pretty reasonable. My biggest issue other than being a lover of fried foods is exercise. Dr. Dadkhah gave me some suggestions of on what exercises I can do without hurting my injured back. I am definitely will continue to see her. The visit with Dr. Dadkhah went very well. As soon as I walked in, she asked me to come back. She is very friendly and knowledgeable. She actively listened to my concerns, and asked questions to get a better sense ofmy current diet and exercise plan. We developed an action plan for me to work on over the next two weeks was very reasonable. I'll be returning to her in 2 weeks for a follow up. Dr. Dadkhah is a great listener and will provide you with the facts. She answers every question and is thoughtful in both her approach and in executing the right plan for you. Dr. Dadkhah took time to ask questions and answer my questions as we developed a nutrition plan that is right for me. Highly recommended. She is so knowlegable and has helped me immensely. I would highly recommend her to anyone who wants to learn how to take control of their health through dietary choices. Dr. Dadkhah assessed my eating habits, and then we developed goals to improve my diet. I really appreciated her guidance on how to read and interpret the nutritional fact labels. I definitely feel much healthier as result of following the nutritiongoals we established and also doing the strength training exercises she recommended. I highly recommend Dr. Dadkhah!! I like the fact that I'm learning as we go and there is no pressure. During my initial appointment, Dr. Dadkhah listened attentively to my situation, needs and goals. She provided a plan that is realistic and manageable. Her recommendations were clear and tailored specifically to me. I look forward to working with her to improve my health. very positive - holistic doctor. I needed to reset and start again after returning from a vacation. Dr Dadkhah helped me set some manageable goals to get me going again. Dr D is an excellent nutritionist. Doctor Dadkhah listen intently to your concerns and she has a sense of humor that helps you feel comfortable about talking to her regarding your health concerns. She explains in detail her recommendation for improving your health and inquiresoften do you have any question. I have confidence that she will help me with my health issue. This was the first of a series of sessions to assist in menu planning for my Stage 3 level of CKD. Very helpful in assisting my comprehending kidney disease function and impacts of cuisine on the kidneys' to perform their important functions. Dr Dadkhah is very easy to work with. She is realistic about the approach used a patient is more likely to succeed with. Very knowledgeable and always has new information to provide to continue my success. She helps me set goalsthat are obtainable and one step at a time. Thank you Dr Dadkhah! A very pleasant and helpful person. She is very supportive to your goals and easy to work with!